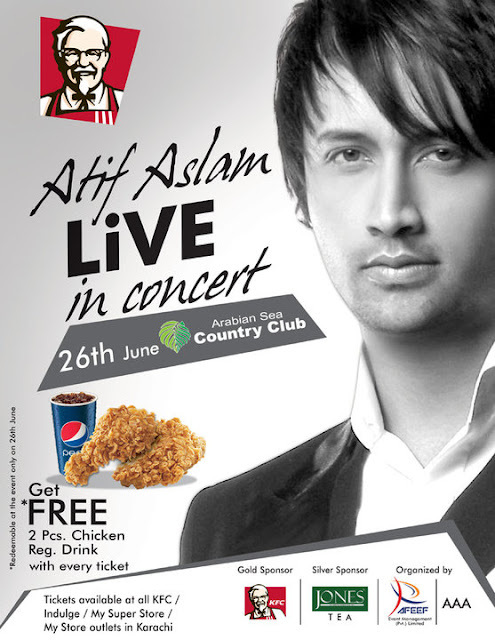 On Saturday 26th June at Arabian Sea Country Club, Karachi. Tickets are available for Rs.2000(Silver) & Rs.3000(Gold), Available at all KFC / Indulge/ My SuperStore / My Store outlets in Karachi. 2000 Rs ticket!!!!!!!! and what is the difference between Golden ticket and Silver ticket?? Pathetic concert that i can say....Atif is a snatcher of the songs...!! !